Grandmaster Li Zhanyuan AKA Li Huitang was born in Laixi, Shandong in January 1901 and died in Qingdao City, 1:20pm, January 22nd 1992, aged 91. He inherited his father Li Tong's martial skill and began studying Butterfly Boxing under him at five years of age. Throughout his martial career Li went on to study many styles other than Tanglang Quan, such as Louhan and Shaolin Qixing, Xingyi, Bagua and Taiji. At age nine, Li Zhanyuan left Laixi for Dalian, Liaoning Province to become apprenticed as a cook. He continued his training and showed exceptional skill and power for a youngster. In 1913 aged 12, Li Zhanyuan began his studies at the Yingbin Wuguan initially under Yang Weixin, then following Yang’s senior disciple Xiao Shubin until the arrival in Dalian of Hu Yongfu in 1920. Li studied Tanglang exclusively under Qixing masters, though enjoying close relationships with masters of all branches throughout his life (He Shikan, Liu Duoshan, Wang Yushan and Hao Bin, amongst others). Li remained in Dalian continuing his training and teaching on behalf of Hu Yongfu from the mid-1920s, right up until the Japanese occupation of North-eastern China during the Second Sino-Japanese War. Li Zhanyuan was famous for his love of combat and readiness to test his abilities. A famous public display of his fighting ability during the occupation led to his eventual relocation in Qingdao. It is related that three Japanese soldiers were severely beating a Chinese civilian in a Dalian street. Bystanders watched in horror, not daring to interfere, except for the feisty young Li who rapidly dispatched the soldiers with a single strike each. According to the oft-repeated account, the first was dropped with a kick to the groin, the second, a hammer fist blow to the head and the final, a cutting palm to the throat. It is told that all three soldiers fell to the street maimed and left for dead. Immediately Li Zhanyuan was wanted by the authorities and sentenced to death in absentia by the Japanese military. Being an easily recognisable figure, well known in the Dalian martial community, Li was forced to flee to his native Province. Li Zhanyuan came to Qingdao in 1941 and founded his own martial academy in the Taidong district, initially in conjunction with Hu Yongfu’s son Hu Dongming. Throughout his career he continued research and development of Tanglang Quan, even traveling to train in Yantai with Lin Jingshan up until the late 1960s. In 1962 he was appointed as Chairman of Taidong District Martial Arts Association and President of the amateur Wushu academy. Li Zhanyuan actively taught martial arts in Qingdao and the surrounding regions for fifty years. On the 28th of September 1967 during the Cultural Revolution, Li Zhanyuan fell victim to the persecution of the Red Guards. He had defeated a prominent Qingdao martial artist in a challenge match in the 1940s and his opponents’ son became a powerful high ranking military officer maintaining resentment towards him. Li was arrested and forcibly sent to work in the countryside along with many other gongfu masters of the day, under the charge of promotion of feudal ideology. Luckily, due to his reputation and loyal following, the Red Guards never managed to physically harm him, though he left Qingdao in shackles with most of his possessions, including all of his weapons destroyed. Li was exiled in Laixi until 1971 where he was attended regularly by four of his most loyal disciples; Cao Zhizhou, Gu Keqin, Chi Xiangting and Kang Zhiqiang. The four ensured his well-being by bringing good food, clothing and medicine and keeping the guards in check under threat of death. During this period Li Zhanyuan modified his practice to train with work implements such as the rake, shovel and hoe which, along with the rest of his arsenal is on permanent display in the Qingdao Qixing Tanglang Committee headquarters. Li Zhanyuan was widely known beyond Shandong, especially in Henan where he travelled many times to Shaolin Temple in order to strengthen the connection between Tanglang and Shaolin that was emphasised in foundation manuscripts and by various key figures throughout the history of Mantis Boxing. Before his death he worked as the chief coach of the Shaolin Temple Wuguan and Vice Chairman of the Shaolin Temple Association and Consultant Research Association of Shaolin Temple Boxing. He was knighted as sujia dizi (lay disciple) of Shaolin, titled Su Lin Dashi, and paid tribute to the Shaolin heritage by naming his personal interpretation of Mantis Boxing - Shaolin Jingang Qixing Tanglang, AKA Jingang Qixing Tanglang. Of note, some of Li’s descendants make no distinction between Jingang Qixing Tanglang and Qixing Tanglang. In 1984 Li Zhanyuan, with the assistance of senior disciple Liu Chongxi released a major written work on Qixing Tanglang Quan. The book covered theory, history, fundamental training techniques and forms such as Cha Chui, Beng Bu, Bai Yuan Chu Dong, Bai Yuan Tou Tao and Zhaiyao. This was followed by the publication of a second book outlining the Tiangang Jian, largely authored by Liu Chongxi. In the same year the government of Shandong awarded Li Zhanyuan a medal of honour as a result of his contribution to Shandong Wushu and status as one of China's most famous Tanglang masters. Li Zhanyuan taught thousands of students and produced many great champions, perhaps most internationally renowned was Qiu Fangjian, a national champion who was a forerunner to Li Lianjie (Jet Li), in competitive Wushu circles. Although a professional modern wushu athlete, Qiu's forte was traditional Tanglang, which he also researched on behalf of the Shandong Wushu Association. His life was cut tragically short in a car accident during the process of archiving the materials of the remaining Mantis Boxing masters of Shandong in the late 1980s. Li Zhanyuan also produced many famous female students such as the Chu sisters, Xueling and Xueli. Greatest of all was the formidable young champion Qin Guihua, the adopted daughter of the childless Li Zhanyuan. Qin Guihua enjoyed fame as one of the most powerful female Tanglang practitioners of the modern era, winning provincial and national titles in traditional gongfu competition. Chen Leping has taken the family mantle after the passing of Li Zhanyuan and is the current chairman and chief instructor of the Qingdao Qixing Tanglang Committee.  His knowledge of the system is vast and he is actively involved in both local and international promotion of Mantis Boxing. Qixing Tanglang in Qingdao has enjoyed renewed popularity as a direct result of his recent efforts. Li Zhanyuan remained the honourable president of the Taidong District Wushu Association and continued to transmit his knowledge right until to the very end of his life.